Rapid company growth is never a bad thing, but heightened demands can start to push legacy systems to their limits. That’s why one company, dependent on their legacy system to deliver key data and application features, turned to virtualization software. 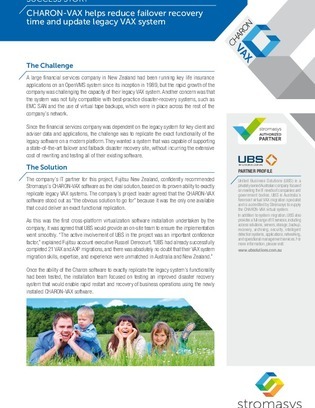 In this case study, find out how a large financial services company kept their mission-critical, legacy apps running by using virtualization -- exactly replicating the functionality of their aging VAX system while delivering the modern failover and disaster recovery capabilities necessary to protect sensitive financial records.